The Irish Show Jumping team, sponsored by Devenish & The Underwriting Exchange, have finished in sixth place after tonight’s (Thursday) second round of jumping at the World Equestrian Games in North Carolina, USA – putting them safely among the top 10 teams who will go forward to tomorrow’s final round which will decide the team medals and Olympic qualification. 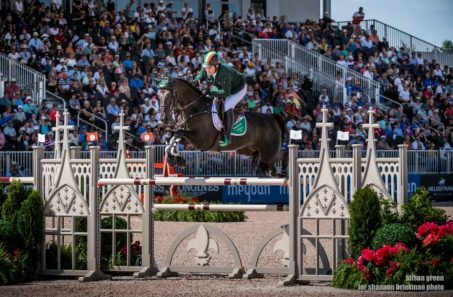 Ireland looked in danger of missing the cut after three riders from each team had jumped, but a magnificent clear round from anchor rider Cian O’Connor with Good Luck saw Ireland climb the leaderboard – and they finished the day in sixth overall of the 25 teams taking part. Cork’s Shane Sweetnam and Chaqui Z were first out for Rodrigo Pessoa’s Irish team and finished the demanding course with 9 faults. Shane Breen and Ipswich Van De Wolfsakker were the discard score with 14 faults, while Paul O’Shea and Skara Glen’s Machu Picchu came home with 8 faults. O’Connor’s last gasp clear saw Ireland finish day two on a score of 27.12. Switzerland lead on 11.64 ahead of hosts USA in second (12.59), while Germany are in the bronze medal position on 18.09. Sweden are fourth on 20.59 with Netherlands fifth on 24.35 just ahead of Ireland. 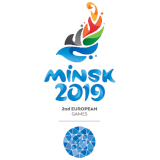 Friday’s final will also include France, Australia, Britain and Canada. Some of the medal favourites have missed out,on a place in the final, including Belgium, Brazil, and Italy. The World Championship team medals will be decided in Friday’s final which gets underway at 6.30pm Irish time. 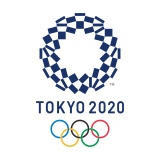 The top six teams will also gain qualification for the 2020 Tokyo Olympics. Cian O’Connor and Good Luck are in a very strong position individually in fifth place on a score of 2.69. They are less than a fence off the gold medal position, which is occupied by Italy’s Lorenzo de Luca and Irenice Horta. Shane Sweetnam and Chaqui Z lie in 33rd on 10.93 and will be among those hoping it make it into Sunday’s individual final where the new Show Jumping World Champion will be crowned.